Gobbledygeek episode 235, “All Together Now (feat. Eric Sipple),” is available for listening or download right here, and on iTunes here. If you ever feel like you’ve got more than one voice in your head…you just might. That’s what the eight leads of Netflix’s new series Sense8 discover. What Paul and AJ discover, along with their The Deli Counter of Justice co-editor Eric Sipple, is that the show, from the minds of the Wachowski siblings and J. Michael Straczynski, is a fascinating intersection of race, class, sexuality, and geography. As the characters experience the world through each others’ eyes–and beyond–the show delves into a topic unfamiliar to much pop culture: empathy. 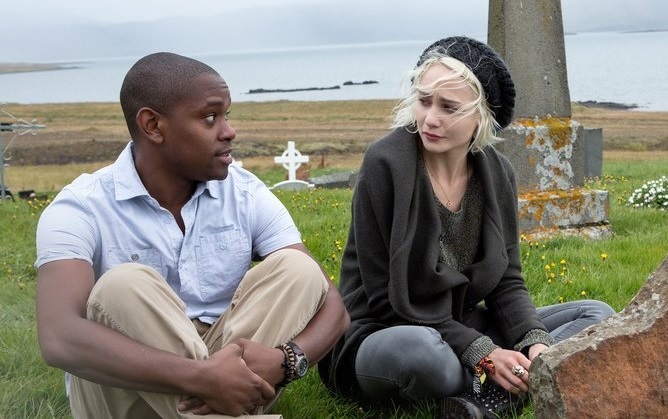 The gang digs into Sense8‘s metaphysical kick, its brilliantly layered characters, its binge-watching model, and more. Next: Greg Sahadachny of The Debatable Podcast drops in for another Four-Color Flashback episode examining Jeff Smith’s Bone. This time, we’ll be reading Bone: Vol IV – The Dragonslayer. Gobbledygeek episode 216, “The Martian: Part 2 – Signal Acquired (feat. Hallie Prime),” is available for listening or download right here, and on iTunes here. For the second week of Gobbledy-Book Club 2015, Paul and AJ are joined by longtime friend (but first-time guest) Hallie Prime to discuss chapters 7-12 of The Martian by Andy Weir. 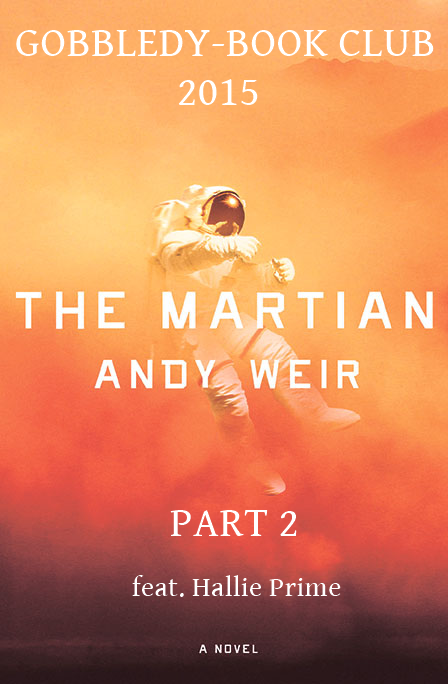 As stranded astronaut Mark Watney becomes more and more desperate for human contact, Weir begins to tap into the emotional weight of his premise. The gang debates how effective this is…and continues to have issues with a little thing called “dialogue.” Plus, AJ prepares to Better Call Saul, while the gang straps on their gravity boots for the Wachowskis’ Jupiter Ascending. Next: Wanna Cook? author Ensley F. Guffey stops by to talk chapters 13-19 of The Martian. Gobbledygeek episode 120, “This Much is True-True,” is available for listening or download right here. Gobbledygeek is no stranger to generations-spanning epics; the whole show has been an experimental piece showing how different pop culture artifacts complement and dovetail with one another, and of how the love of two co-hosts will endure for the rest of history. Haha, just kidding, we’re just a dumb podcast, but this week we are talking about something that is certainly not dumb and is most definitely ambitious: Tom Tykwer and Andy & Lana Wachowski’s Cloud Atlas. Paul and AJ are both fans of the film and describe why it works for them and how emotional it made them, while also discussing the whole “yellowface” controversy. Plus, there was this whole big election thing that happened. They talk about that. Next: It’s the third annual Gobbledygeek Thanksgiving! This time, instead of actually talking to other human beings, we will be most thankful for the Thankskilling duology.